We support the South Carolina Bluebird Society! 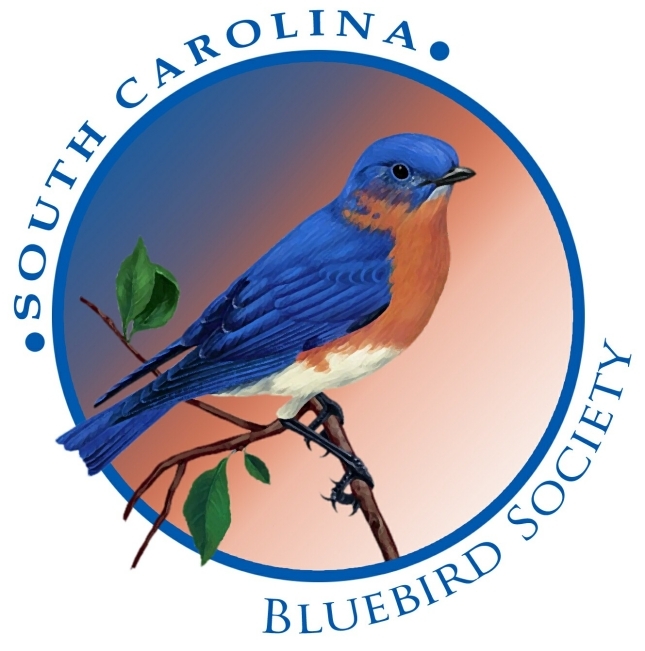 The South Carolina Bluebird Society (SCBS) was established in Aiken on October 19, 2010. It is the first North American Bluebird Society (NABS) Affiliate to be organized in South Carolina. SCBS has installed and monitors 1161 Bluebird, Wood Duck, Screech Owl and Kestrel nest boxes at 77 locations. The South Carolina Bluebird Society is a 501(c) 3 nonprofit organization dedicated to the recovery and conservation of the Eastern Bluebird and other cavity-nesting birds native to South Carolina and elsewhere. Promoting Bluebird conservation projects among its members and other interested groups. Conducting educational programs and workshops. Encouraging and aiding in the development of nest box trails. Collecting and sharing nesting data for analysis and research. Founded in 1978 by Dr. Lawrence Zeleny, The North American Bluebird Society (NABS) is a non-profit education, conservation and research organization that promotes the recovery of bluebirds and other native cavity-nesting bird species in North America. NABS has sought to educate, persuade, and enlighten the public in methods that an interested person could use to help bluebirds and other native cavity nesters. Wild Birds Unlimited is a major cooperate sponsor of this not-for-profit organization.